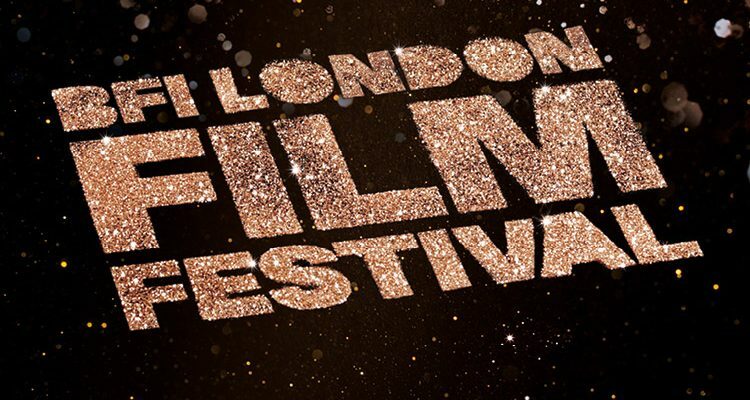 The BFI London Film Festival has announced its lineup for the 2016 festival, which takes place from October 5th to 16th. 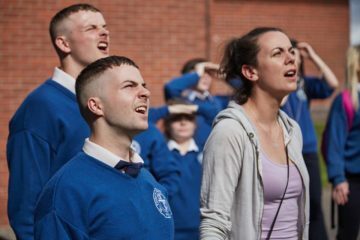 The festival will host 380 features and shorts from 74 countries, including seven from Ireland: Liam Gavin’s A Dark Song, Darren Thornton’s A Date for Mad Mary, Christine Molloy and Joe Lawlor’s Further Beyond, Billy O’Brien’s I Am Not a Serial Killer, Jim Sheridan’s The Secret Scripture, Lorcan Finnegan’s Without Name, and Peter Foott’s The Young Offenders. A Dark Song follows Sophia, a young woman who insists on renting an old house in the remote countryside so that she can hire an occultist. She needs him to perform an ancient invocation ritual, the Abramelin, to summon up Sophia’s Guardian Angel so her wish can be granted. She wishes to talk to her murdered child, a desire that consumes her. A Dark Song features Patrick’s Day star Catherine Walker in the lead, with Sightseers‘ Steve Oram as the occultist hired in to help her. Frank star Mark Huberman and Poison Pen‘s Susan Loughnane offer strong support. 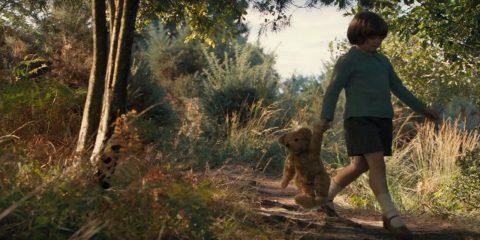 It was was filmed in locations around Dublin and Wicklow in the summer of 2015. Viva cinematographer Cathal Watters shot the film, with Connor Dennison as production designer. Bowsie Workshop assisted on the practical effects. 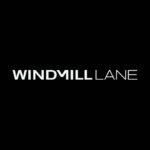 Post-production is taking place at Windmill Lane Windmill Lane is world renowned for its recording studio, music video production & commercials, VFX work and audio for Film, TV and Animation. Pictures with editor Anna Maria O’Flanagan and Patrick’s Day composer Ray Harman. 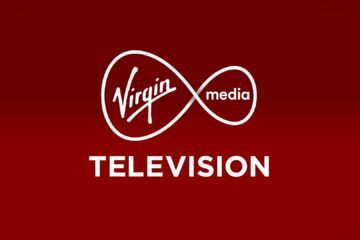 David Collins and Cormac Fox produce for Samson Films, with Tim Dennison producing for UK production company Tall Man Films. 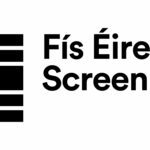 Funding comes via the Irish Film Board/Bord Scannán na hÉireann Fís Éireann/Screen Ireland (FÉ/SI) is the national development agency for Irish filmmaking and the Irish film, television and animation industry. and Ffilm Cymru Wales. 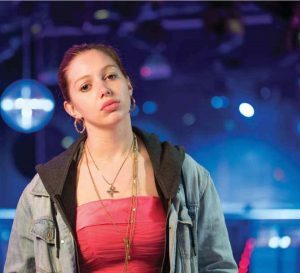 The film stars an ensemble of young Irish actors including Seana Kerslake, Charleigh Bailey and Tara Lee as well as established talent including Denise McCormack and Norma Sheehan, and is written by brothers Darren & Colin Thornton. 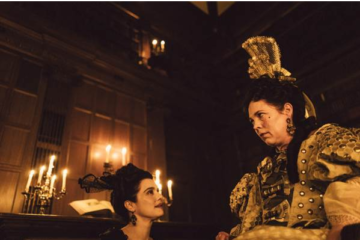 Kerslake has drawn great praise for her role and won the Bingham Ray New Talent award at the Galway Film Fleadh. A Date for Mad Mary is produced by Ed Guiney (The Guard, Frank, Lobster, Room) and Juliette Bonass (Glassland, Get Up & Go) and Andrew Lowe of Element Pictures Element Pictures is run by Ed Guiney and Andrew Lowe, with offices in Dublin and London, working across production, distribution, and exhibition. Element Pictu... More as executive producer.  The film is backed by the Irish Film Board, Element Pictures Distribution, BAI and TV3. I’m absolutely thrilled that A Date for Mad Mary has been accepted at the London Film Festival, especially being selected to screen in competition. We’ve been looking forward to sharing the film with British audiences and to be having our first screenings at a festival as well regarded as LFF is really wonderful. Further Beyond is the debut documentary from Christine Molloy and Joe Lawlor. The directors take as their point of departure the compelling 18th century figure Ambrose O’Higgins and attempt to retrace his remarkable journey from Ireland to Chile. Key locations in O’Higgins’ life are visited and reflected upon in the hope that something might be revealed, as if these very locations might contain clues. 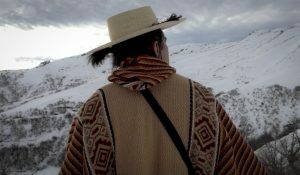 As they speculate on the idea of place and what O’Higgins embodies, the filmmakers continually get sidetracked by a competing story of immigration and displacement. Gradually, and not without humour, these intertwining narratives uncover ideas about the transformative powers of travelling. An adaptation of Dan Wells’ novel, I Am Not a Serial Killer follows a 15-year-old who is a diagnosed sociopath. Due to being plagued by constant homicidal urges, he lives by a set of rules designed to keep his violent impulses in check. 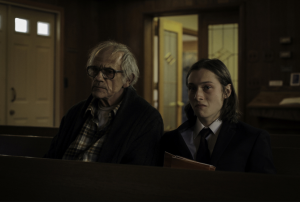 The film, which shot in Minnesota last year, features Max Records (Where The Wild Things Are) in the lead, alongside Christopher Lloyd (Back To The Future) and Laura Fraser (Breaking Bad). Nick Ryan of Irish production company Floodland Pictures produces, with John McDonnell and Ruairi Robinson executive producers. The Tea Shop and Film Company’s James Harris and Mark Lane also produce. Financing comes from the Irish Film Board, Quickfire Films, and The Fyzz Facility. Acclaimed cinemtographer Robbie Ryan acts as director of photography on the film, with Starred Up‘s Nick Emerson editor. Post-production was handled by EGG Post in Dublin. The Secret Scripture is an adaptation of Sebastian Barry’s 2008 Man Booker Prize nominated novel of the same name, is the story of a one-hundred-year-old woman, Roseanne McNulty, who now residing in Roscommon Regional Mental Hospital decides to write her autobiography. Lady Rose is an elderly woman who has lived in a hospital for 40 years. Despite her bleak surroundings there is a light in her eyes that cannot be extinguished. Dr Greene is drawn to her, compelled to discover her past and gain her freedom. Through her scripture we reveal a life of extraordinary love, great injustice and a remarkable young woman of courage whose only crime was to fall in love yet she survives the system’s brutal violations. Set against a backdrop of troubled times locally and chaos internationally we learn of her ultimate triumph. American star Rooney Mara plays the younger Rose, with screen legend Vanessa Redgrave playing Rose in her older years. These are supported by Australian actor Eric Bana, and rising UK star Theo James, as well as Irish actors Jack Reynor, Aidan Turner, and Tom Vaughan-Lawlor. Six-time Academy Award nominee Sheridan co-wrote the screenplay with the late Johnny Ferguson. Director of photography Mikhail Krichman worked on the brilliant Russian film Leviathan, and composer Brian Byrne has previously worked with Sheridan on In America. The film is edited by Dermot Diskin (Wake Wood, Moscow Never Sleeps), with production design by Derek Wallace (Good Vibrations, The Sea). The Secret Scripture, which is produced by Noel Pearson and Rob Quigley for Ferndale Films in association with Voltage Pictures, is financed by the Irish Film Board/Bord Scannán na hÉireann, the Ingenious Senior Film Fund, Apollo Media, and the European Media Fund. Without Name is one of the three Irish Film Board-backed Catalyst projects from 2014, and follows a systematic land surveyor who loses his reason in a supernatural environment that defies all boundaries. The film stars Alan McKenna, Niamh Algar, and James Browne as leads, as well as Morgan C. Jones, Olga Wehrly, Brendan Conroy, Bryan Quinn, Paul Ward, Donncha Crowley, Brandon Maher, Helen Roche, and Alan McNally. Director Lorcan Finnegan and writer Garret Shanley have previously collaborated on the award-winning short film Foxes which was selected for SXSW and the Tribeca Film Festival. Cinematography comes from Piers McGrail (Glassland), with Tony Cranstoun as editor. Casting was by Thyrza Ging and Louise Kiely Louise Kiely Casting is one of Ireland's premier casting agencies. The company is lead by casting director Louise Kiely, who formed it in 2005., with production design by Jeannie O’Brien, art direction by Mick Minogue, and costume design by Niamh Buckley. 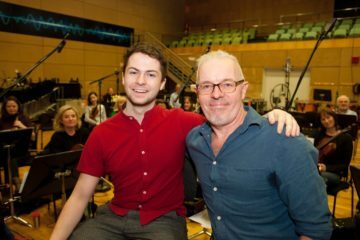 Without Name is produced by Finnegan and Brunella Cocchiglia Lovely Productions, with support from the Irish Film Board/Bord Scannán na hÉireann. The Young Offenders is a comedy road movie about best friends Conor and Jock, two inner-city teenagers from Cork who dress the same, act the same, and even have the same bum-fluff moustaches. The film is inspired by the true story of Ireland’s biggest cocaine seizure in 2007. The film stars newcomers Alex Murphy and Chris Walley, Ciaran Bermingham (Patrick’s Day), PJ Gallagher (Naked Camera), and Hilary Rose (The Centre,The Republic of Telly). Produced by Julie Ryan, it is a Vico Films production with Cormac Fox and Michael Doherty as executive producers. Creative talent includes Director of Photography Patrick Jordan (Talking to My Father, Leave), and Editor Colin Campbell (You’re Ugly Too), with music from Ray Harman (Love/Hate, Patrick’s Day). The 60th BFI London Film Festival in partnership with American Express® takes place from Wednesday 5 October-Sunday 16 October 2016. The opening night film is the previously announced Amma Asante’s A United Kingdom. Tickets can be booked via the website.